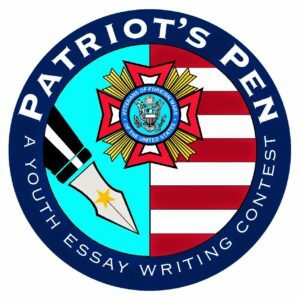 GRAFENWOEHR, Germany — The Patriot’s Pen Essay Writing Contest is hosted annually by the Veterans of Foreign Wars and is open to 6th-, 7th- and 8th-grade students. Home-schooled students also are eligible. Essays must be no less than 300 words and cannot exceed 400 words. Submit essays to the VFW Tower Post 10692, along with the completed Patriot’s Pen entry form, no later than the Oct. 31, 2017. The VFW is located at Tower Barracks, Bldg. 505, across from the garrison headquarters building. Students can ask a teacher or youth group leader to supervise their progress in the competition, according to the VFW rules and eligibility requirements. More than 120,000 students participated last year in this contest. National winners receive at least $500. The first-place national award is currently $5,000 plus an all-expense paid trip to Washington, D.C., for the winner and a parent or guardian. For more, visit the VFW’s scholarship page at www.vfw.org/VOD. If you have questions, call the VFW Tower Post commander at 0171-218-8480 or visit their Facebook page at www.facebook.com/TowerPost10692.